Alternative Recommendations: Instant Knockout mostly. 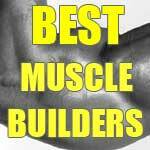 Hit the link below to read about the best pills. We know Allmax products well and they have released some excellent pre-workouts and proteins (with the IsoFlex range), but fat-burners seem to be the area where the biggest claims are made. We’re going to review the International Version of the product because no-one outside the US can purchase their blend because it contains ingredients which are restricted in most other countries. The differences appear to be in the Release (stage 2) section of the blend. 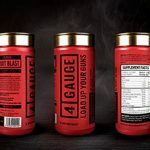 There are a lot of stimulants that are thought to have potentially dangerous side effects in most countries, except in the US, where it seems you can sell almost anything. 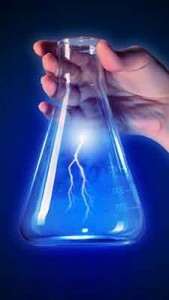 Examples include: N-Methyl-Tyramine, Yerba Mate, and Yohimbine. There is also some Guarana seed in the US Ignite (stage 3) section where there is not in what they dub the ‘Canadian’ product. Here at SuppsUnlimited, we have sampled everything we recommend, and even adopted as our regular supplements in some cases. 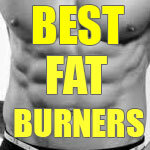 Take a look at our most recommended fat-burners and see for yourself that they deserve to be highlighted. Available worldwide, and sometimes even for FREE delivery anywhere, these are the best of the best in our opinion. Click the button below to read more about these products. 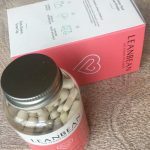 These days, it is often the case that fat-burners are designed to have secondary effects, such as nootropic cognitive benefits or some sort of anabolic element. From Allmax’s own statements, this product has been developed exclusively for the purpose of fat-loss, and only fat-loss. Most of the marketing spiel is centred around Svetol Green Coffee – one of the main ingredients in the Rapid Cuts Formula. Any company that uses this trademarked extract of unroasted green coffee beans quotes a study where the subjects used Svetol (plus dieting) lost just over 10 lbs compared to the placebo group which lost just over 5 lbs. Chlorogenic acid is the key compound in Svetol green coffee and has indeed been linked to weight loss. The studies have either been conducted on mice or obese people. How Does Rapid Cuts Shredded Work? Also the individual inclusion weights are written, which is nice to see. There are 90 capsules and the site says that is a 45 days supply. However, if you want the dosage on the front, it works out as 3 caps a day which is actually only 30 days worth of product. So we’ve got the ingredient inclusion weights. From the partial information we can get from the description on the website and the bottle of product, we can assume Green Coffee is the main ingredient. According to the FAQ section, that has been the feature of an 8 week study where the test subjects lost an average of 14 lbs. The dosage used in the trial was also 1000mg. Always follow the instructions on the packaging. 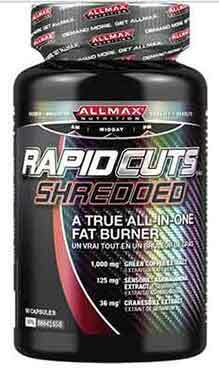 There is no clear rule for taking Allmax Rapid Cuts Shredded. The label has advice based on the user’s variables. All we can say is to follow that. Pregnant and breastfeeding women should avoid this product. People on medication or that have a medical condition should consult a health-care professional before taking this or any other supplement. We also advise you don’t consume any other sources of caffeine during the period that you use the product. There are many online retailers and high street stores that sell Allmax products. In Canada as an example, expect to pay about $40 CAD and in Australia about $70 AUS. The companies will probably advertise it as the USA version, but that is not what you will get. You will receive this version. It’s a tricky one to judge. The recipe is interesting, and appears to be up to date with many of the popular ingredients in fat-burners today. It does seem to all be centred around the Green Coffee extract and the Capsicum pepper, both of which are good as additional ingredients but might not be the best picks for the main event. We’re going to say Repid Cuts Shredded is not recommended above other products that are in our opinion better. Don’t worry, we come armed with suggestions. 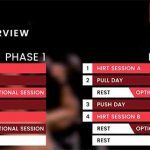 Some of the best – and internationally available – fat-burners are on the review page you can link to below. They are the best products we have used so far, and we have no concerns about giving them our seal of approval. Remember that without a healthy diet and exercise routine, losing weight (and more importantly fat) is going to be a struggle. 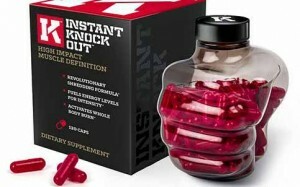 Fat-burners are an added bonus, and the ones we suggest will fit into your healthy lifestyle and expand the benefits.